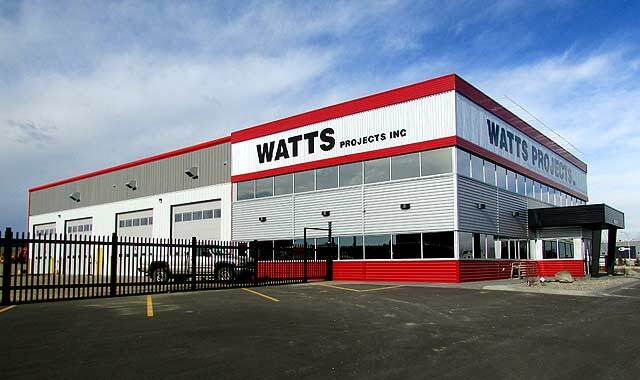 The Watts Projects Inc. building is in Queens Industrial Park, Red Deer, AB. This is one of many projects designed and managed by Annabelle Miranda and Tricon Developments Inc. This building has many features that commercial and industrial buildings request. Its owner occupied with shop and offices, including a welding bay, wash bay and mechanic bays. Two cranes were installed to move heavy equipment, one spanning two bays. Everyone involved is extremely happy with the end result.